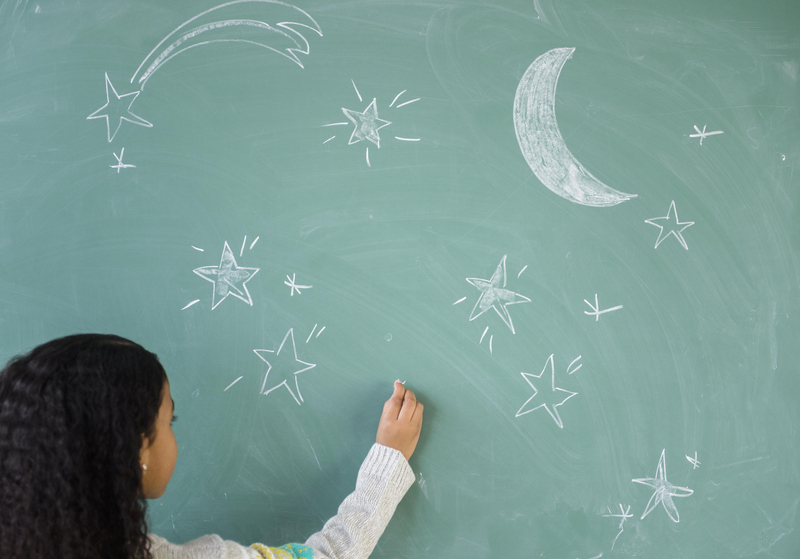 Paying attention to a child’s dreams can transform the trajectory of their life. Back in 1977, I was an earnest, slightly goofy kid obsessed with outer space. My love affair with all things cosmos had been brewing for several years, sparked by the clay model of the solar system I made for a third grade science project back when Pluto was still part of the club. I loved visiting our local planetarium in Columbia, South Carolina. The original Star Wars movie came out that summer, and it blew my mind. When people asked what I planned to do when I grew up, my 11-year-old self proudly proclaimed, “a space engineer,” which would somehow involve designing groovy rocket ships and then being the astronaut to pilot them. My parents knew about this passion of mine. When I would go outside and stare at the night sky, I was convinced a falling star, or perhaps an alien aircraft, would suddenly manifest. I’m sure they weren’t surprised when I talked about wishing for a telescope of my own to better view the universe. It seemed like a pipe dream though, and money was tight. I would have been happy with books or the Charlie’s Angels board game. Then, when we opened our Hanukkah gifts that year, I spied a rectangular box with my name on it. I eagerly unwrapped that sucker and found a portable telescope inside. My heart burst with excitement. I took it outdoors immediately to explore craters on the moon and whatever other delights the night sky had to offer. It was the most meaningful gift of my childhood, indirectly transforming the trajectory of my life. For starters, I felt seen and heard. Giving me a telescope didn’t fit the mold of what most young ladies asked for back in the day. But rather than gift me with something more stereotypically “girly” at the time, my mom and dad listened to my heart’s desire and made it happen. When your parents are both working full-time at the family delicatessen, and you are competing for attention with two rambunctious younger brothers, it can be easy to get lost in the shuffle. However, in that moment, I felt completely acknowledged. Not that my pre-teen self would have had the insight to fully understand what that meant. But it is certainly clear to me now. Receiving that telescope also reinforced the importance of dreaming at an impressionable age. While my lack of aptitude for more advanced math courses a few years later swerved me away from the “space engineer” career track, I never stopped imagining what was possible. That love for outer space grew into a larger desire for exploration of the world itself, for storytelling, and for helping others find and activate their potential. In my own way, I began reaching for the stars. I also discovered a talent for public speaking that yielded national recognition. I became the first person in my immediate family to receive a standard four-year college degree. I built a career that today lets me help build better cultures, brands, and places to work. After hours, I’m writing a book to help people get unstuck and unleash their inner rock star. And that’s all while still finding the time to visit interesting planetariums and fan girl about world-building books, movies, and TV shows. My childhood telescope is the gift that keeps on giving decades later — for what it unlocked inside of me.